A physical exam is an important part of your pets care. During this exam, the veterinarian will take a close look at your pets history, habits, and nutrition while performing a full body exam. Often, subtle problems can be missed by even the most meticulous pet owners because pets do not always show pain or illness in an obvious way. We recommend yearly exams for all pets up to age 7; once a pet is over 7 years old, they are considered a senior pet. For senior pets, we recommend a physical exam every 6 months. These bi-annual exams give the doctor a chance to prevent or diagnose any medical issues early. Q: How often do we recommend wellness visits for your pet?  A: At Fairmount Animal Hospital we recommend once a year exams for all pets up to the age of 7. Pets over 7 years of age are considered senior pets. For these pets, we recommend a physical exam twice a year (every 6 months). Semi-annual exams give the doctor a better chance to prevent or diagnose any medical issues early. Q: What should I expect at a wellness visit? A: During a physical exam your doctor will listen to your pets heart and lungs, check ears, eyes, mouth, lymph nodes and palpate the abdomen. After the exam, the doctor will discuss your pets lifestyle, age, and breed risks. Healthcare recommendations will then be made. A: Vaccines are injectable substances used to trigger specific protective immune responses against diseases. Vaccines can lessen the severity of or prevent certain diseases altogether. Vaccines stimulate the production of antibodies that identify and destroy disease causing organisms in the body. Q: Why is it important to vaccinate my pet? A: Vaccinations protect your pet from highly contagious, potentially deadly diseases and improve your pets overall quality of life. Vaccinations help avoid costly treatments for preventable diseases. Some diseases can be passed not only from animal to animal but also from animal to human, which means vaccinating your pet helps protect you and your family as well. Diseases prevalent in wildlife such as Rabies, Distemper and Leptospirosis can infect unvaccinated pets. Q. 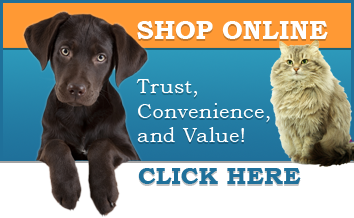 When does my puppy or kitten need to begin vaccinations? A: To provide optimal protection against disease in the first few months of life, a series of vaccinations are given, usually 3-4 weeks apart. For most puppies and kittens, the final vaccination in the series is administered at about 4 months of age; however, your doctor may alter this schedule based on your pets individual risk factors. Talk with your veterinarian about your pets lifestyle, including any expected travel to other geographical locations and/or contact with other animals, since these factors impact your pets risk of exposure to certain diseases. Q: How often will my pet need to be vaccinated? A: Some vaccinations are good for three years, others are boosted annually. Your veterinarian will determine a vaccination schedule that's appropriate for your pet. We understand how concerning it is when your pet is sick, especially because it is hard for them to tell you exactly what is wrong. That is what Fairmount Animal Hospital is here for. What our sick pets can't say in words, they'll demonstrate through physical symptoms, behavior changes and physical exam findings. If you believe your pet is sick call us right away. Describing to us what is going on with your pet helps us appropriately triage. We will make the appropriate recommendations and schedule your pet to be seen here as soon as possible. Our in-house laboratory yields results quickly and efficiently. You can go home with any necessary medications from our on-site pharmacy. This one-stop care means better and faster recovery time for your pet. Q: What are some common signs of illness? A: Unusual behavior, lack of appetite, decreased activity, vomiting, diarrhea, coughing, hair loss, itchy skin, urinating more or less frequently, stiffness, lameness, difficult getting up, and increased vocalization. If your pet is exhibiting any of these signs, please call for an appointment.